With all of the hubbub around the Boyd, let’s take a look at another former theater a little further east down Chestnut. 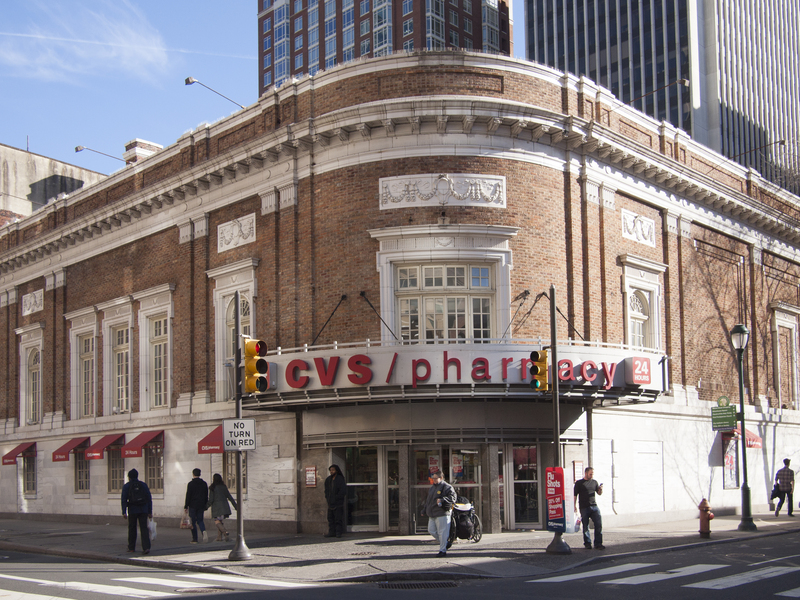 The CVS on the southeast corner of 19th and Chestnut was formerly the Aldine Theatre later to be purchased by Sameric and operated as Sam’s Place until its shuttering in 1994, 22 February 2014. 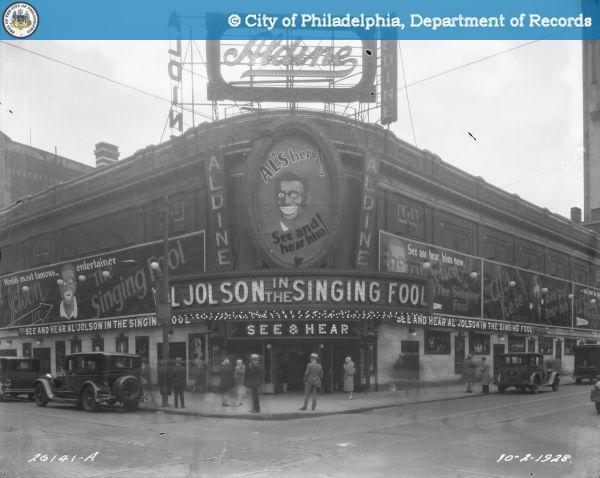 The Aldine Theatre in 1928 advertising Al Jolson in the Singing Fool. Photo from the Philadelphia Department of Records archive, 02 October 1928. 17 Apr	This entry was published on April 17, 2014 at 8:27 am and is filed under Architecture, Center City, Historic Preservation. Bookmark the permalink. Follow any comments here with the RSS feed for this post.